Source: Memorial Arch, Sunset Hill Cemetery, Littleton. Image courtesy of the North Carolina Department of Cultural Resources. Photo by Tom Vincent. The memorial arch consists of two stone plinths spanned by a metal arch with the centered, painted words "Sunset Hill." It stands at the entrance to the Sunset Hill Cemetery, facing the small access road of North Main Street. The unveiling took place at sunset. The program opened with the song Carolina, after which Chaplain Francis Joyner led an invocation. Mrs. T. J. 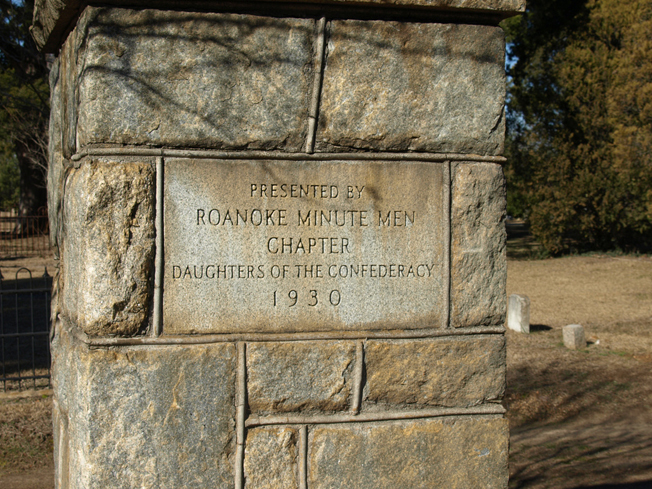 Miles spoke regarding the history of the Roanoke Minute Men Chapter and paid tribute to the Daughters of the Confederacy resting in the cemetery. Then Mrs. W. M. Perkins introduced the main speaker, the Honorable Jno. M. Picot. Four small children assisted with the unveiling, and finally the chaplain led a benediction. June 3, the date of the monument's dedication, is Jefferson's Davis birthday. 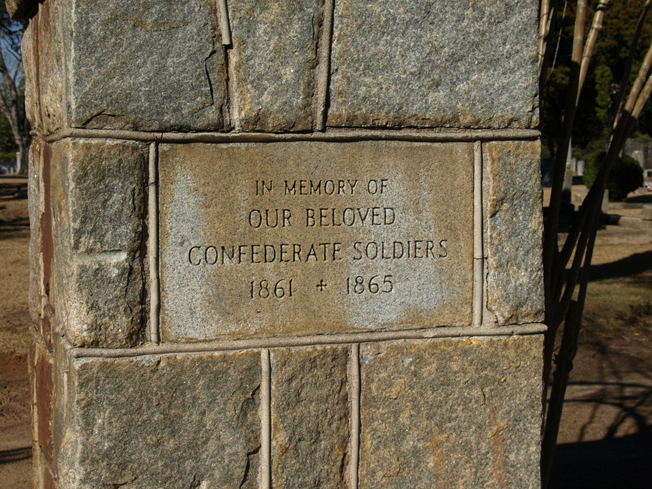 Sue J. Curtis lists the unveiling date as June 3, 1900 in her list of North Carolina Confederate Memorials. Blanche Lucas Smith states that the smooth tablets are marble, while Douglas Butler's book describes them as stone. 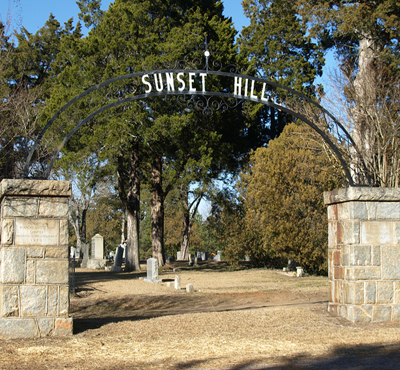 The entrance to the Sunset Hill Cemetery faces the small access road of North Main Street. The surroundings consist of a wooded cemetery.